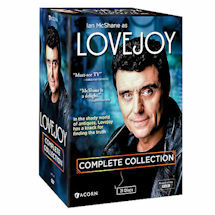 Be warned: If you plan on joining Ian McShane (Deadwood) for the second season of Lovejoy, leave your scruples at home. Things only get seedier for our debonair antiques dealer, who in this go finds himself pitted against a roving pack of French thieves, a vicious Greek kingpin, and wide variety of snooty British aristocrats... among many others. 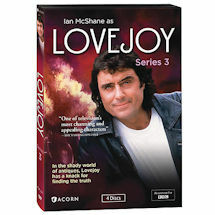 As always, Lovejoy's world is rich with priceless Mayan sculptures and silver 18th-century bowls, or rather, con men trying to pass them off as genuine articles. 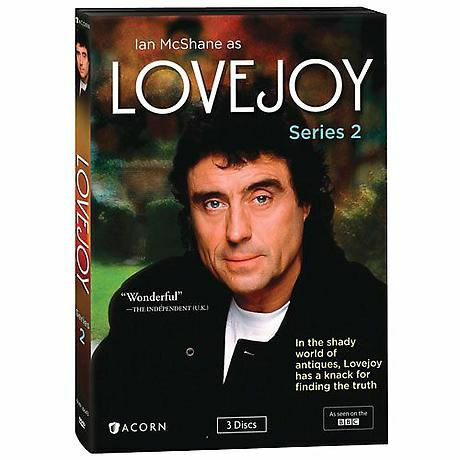 But no treasure is so exquisite as Lady Jane Felsham (Phyllis Logan, Downton Abbey), who's always game for Lovejoy's rollicking schemes, yet remarkably immune to his romantic overtures. No matter-if he's to match wits with some of his wiliest foes to date, he'll need to use every ounce of charm to ensure he's not the one being duped. 12 episodes, approx. 10 hours on 3 DVDs, SDH.